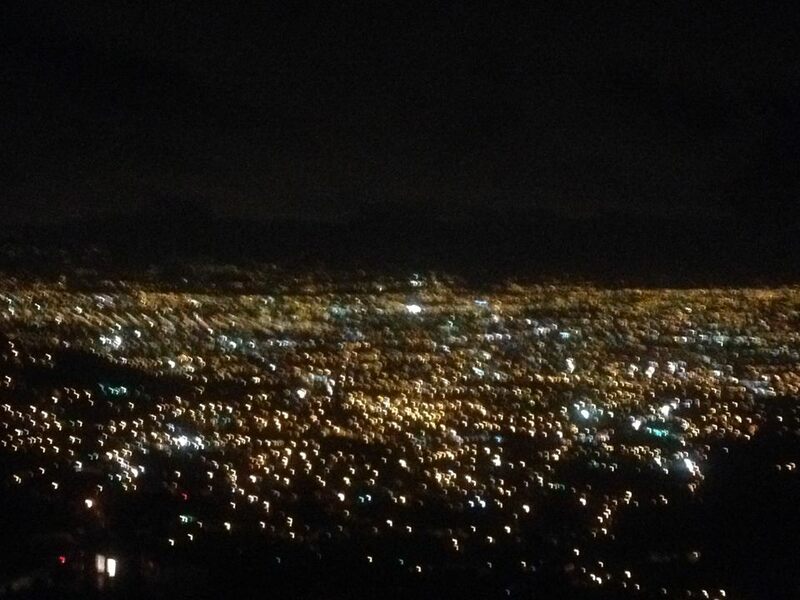 San Jose, Costa Rica at night. Truly a magnificent sight. 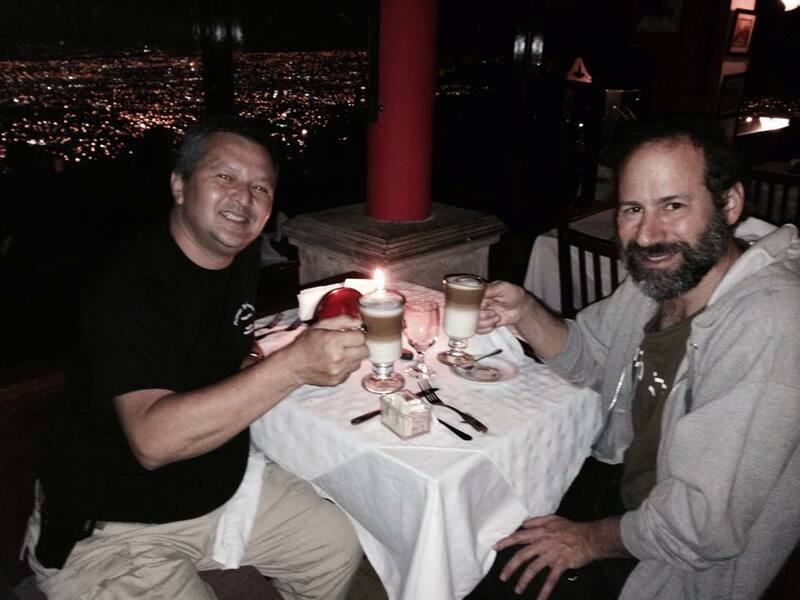 Sitting at a coffee house and enjoying a cafe latte with my friend Marcial we looked out at the amazing view of San Jose at night. We had just finished a wonderful seminar with fifty Krav Maga students from all over Costa Rica and were relaxing and enjoying the view. The seminar was organized by Soke Jaime Ortiz and far exceeded my expectations. It has been a wonderful day and now it was time to relax. But another lesson was yet to be learned. As we were looking at the countless lights in the distance our wonderful waiter came over. He spoke to Marcial in Spanish and said, "Tell your friend that if he wants to know that any of those lights are, I can tell him. I know every light." Of course I knew he was joking. Or perhaps not. I have a tendency not to know when people are joking with me, kidding me. I am missing that joke gene. I always take people at their word. What you say is what I hear. But in this case I tried not to appear so gullible. So I said, "Of course you are joking." But in this case he was not. I was wrong again. Our waiter calmly said, "I have been working here 32 years". I got it, and it made me think. Made perfect sense. "Yes, you are correct, if you live long enough you see many things"
I began to look a little more closely. Had you asked me a few minutes earlier to describe what I saw I would have answered, "lights" and nothing more. Now I began to see things from the waiter's point of view. I saw bright lights and less bright lights. I saw red lights and yellow lights. I saw blue lights and green lights. I saw white lights. And I saw different shades. I saw clusters and groupings. Suddenly the entire picture changed. The waiter discussed how at different times of day different lights go on. One is a football field, another is an airport, another is a school. Each is different. Clearly the man was an expert. Perhaps he is the worlds greatest expert on this specific topic. 32 years. Yes, if you live long enough you see many things. When you watch things long enough you gradually become an expert. If you study something long enough you will become an expert. If you jump from topic to topic you will never gain that deep perspective. I have been studying and training in martial arts for a very long time. More than that, I have been observing people, students of all types, all over the world. I see thousands of students each year, year after year. And yes, that gives me a perspective that others may not have. And yes that helps make me a bit of an expert. I meet thousands of people each year and I observe human nature. And all this experience is added into our Krav Maga, IKI Krav Maga. At first we are blinded by the light. Then we can see the lights clearly. And then we begin to understand them, to see the different colors, shades and groupings. Each serves a different purpose. It is exactly the same with life, people and martial arts. Truly you are correct, if you live long enough, you see many things. 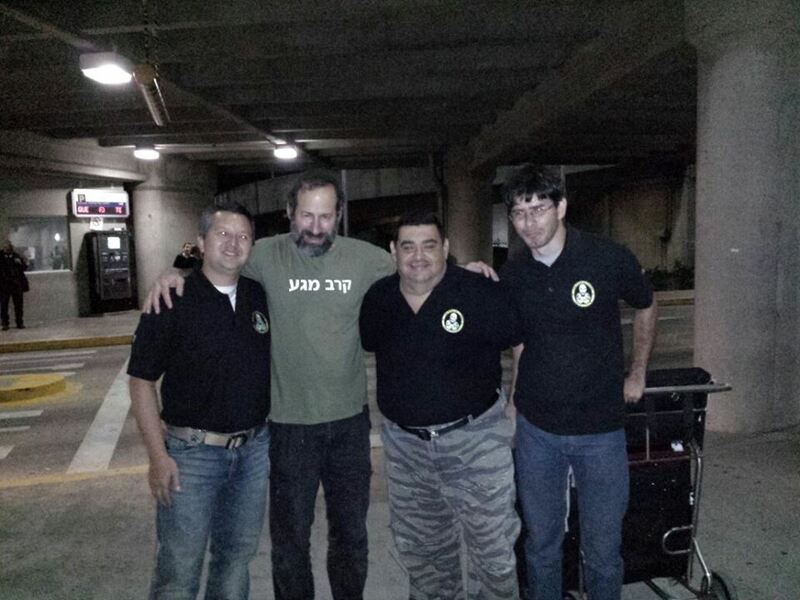 Warm greeting at the airport from Soke Jaime Ortiz and IKI Costa Rica.